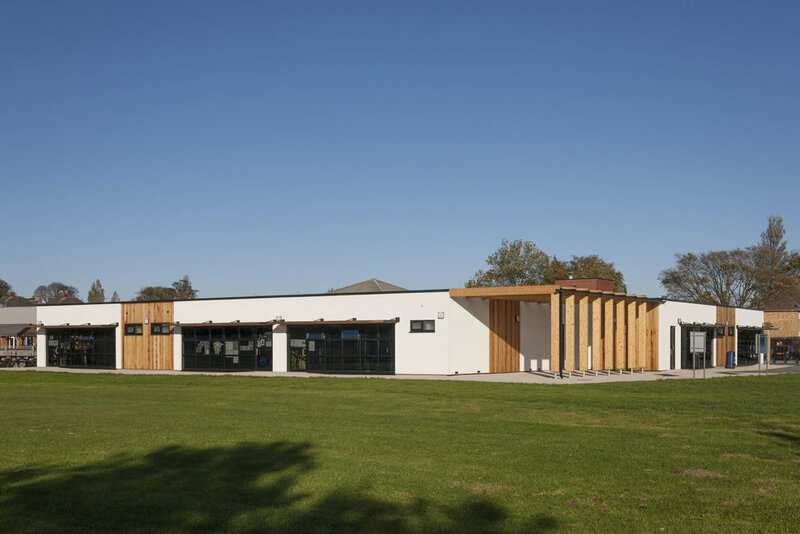 Extraspace Solutions was tasked with the design and build of a new permanent extension at Thrunscoe Primary School in Cleethorpes, North East Lincolnshire. 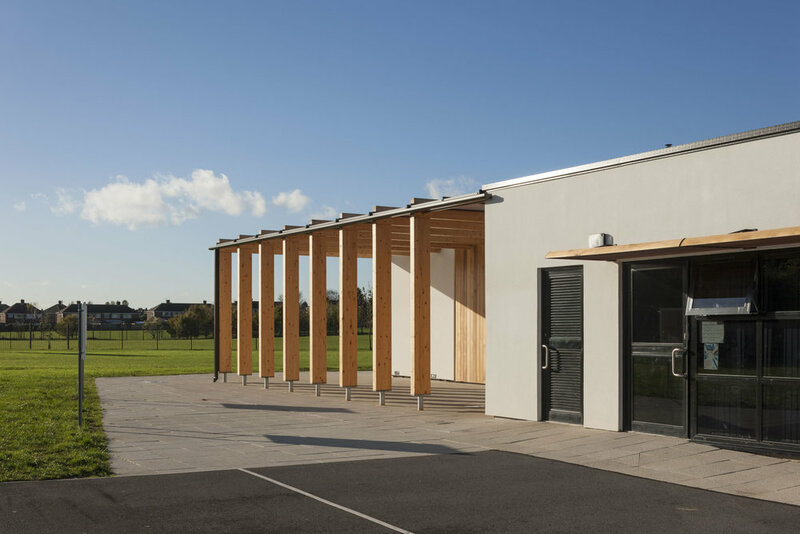 Our brief was to provide a building that delivered 5 main stream classrooms of 60.5m2 each which included associated toilets and circulation areas. The building itself was designed around a central courtyard which housed a pet’s corner and turfed, reading bench area. The heating system is powered by a gas boiler, delivering hot water to an under floor heating system. The benefits of such a system include maximum, evenly dispensed, heat output and minimum heat loss with no loss of wall space to unsightly radiators. from the corridor in to the internal courtyard. The result is natural light which passed throughout the entire building. This combined with the 2.7 metre internal ceiling height provides the optimum layout for a modern classroom setup. The exterior façade is a white render broken occasionally by sections of cedar wood paneling and glazing. The straight lines and sharp corners combine to deliver a functional building of strong character. Extraspace Solutions completed this project within a four month time frame.